Discussion in 'Technical & Maintenance' started by Wayne, Dec 18, 2017. 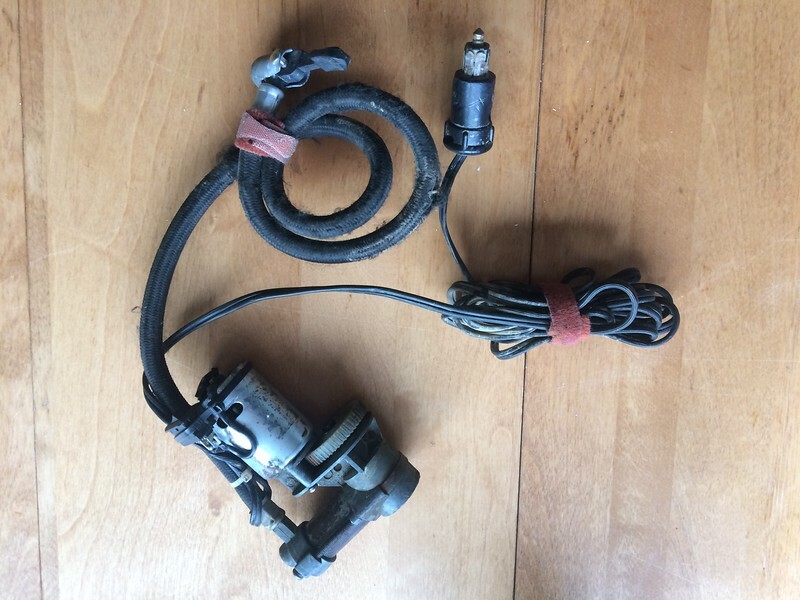 Twisted Throttle "deal of the day" apparently. Or. $10.99 at cdn tire. Smash the plastic box off for better storage. 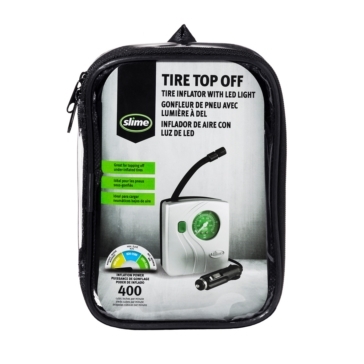 And worry about your battery discharging in the time it takes to air up a flat tire. Trash and keith like this. Also, watch the current carrying capacity of the circuit! Many SAE pigtails are fused at 10 amps or less. My FJR has a "lighter" style socket that is only suitable for charging cellphone or running something like a GPS - fused at 3 amps, I think. My 640 has a Powerlet plug in the dash, runs pumps etc no problem. I also have a couple of Powerlets installed for heated gear. I think I fused them at 12 amps or so. My SAE is direct off the battery with 15 A fuse. The factory Yamaha socket is the low current one. 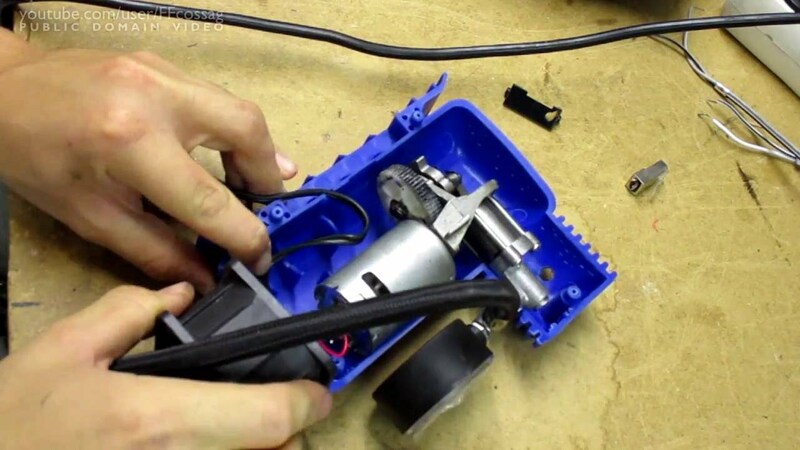 I run an air pump off the SAE. Just remember that most bikes don't charge the battery when under load at an idle. You need to bump the revs up a little. Just saw my new pump for the first time, nice little piece of kit. Let’s see a pic? Size? 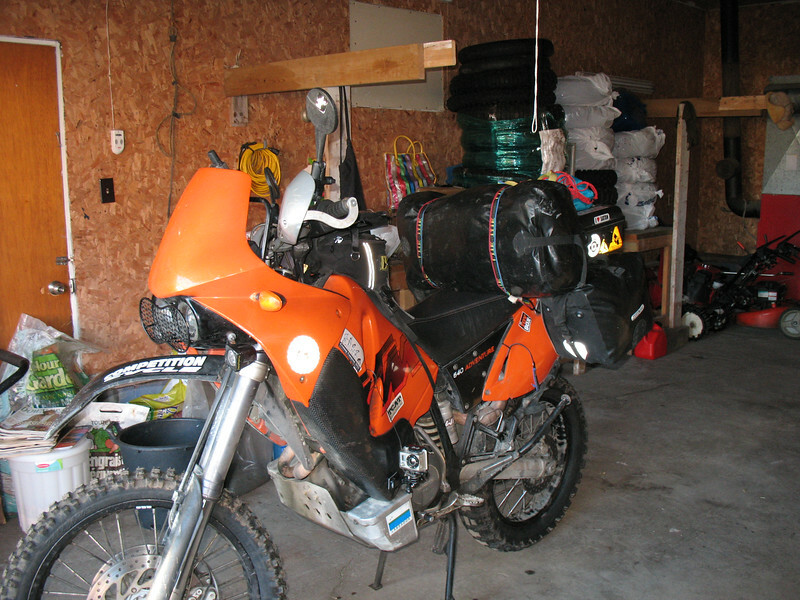 I have two pumps that do double duty between the ATV and the Tenere. Both has had the cig lighter end chopped and replaced with a SAE two prong plug to work with my battery tender lead. The battery tender leads I've used came with a 7.5 amp fuse if I recall, but I replaced with a 10 or 15. In the ATV I have a cheaper unit I bought at Canadian Tire years ago. I removed the outer casing such as this pic I found via google to make things more compact. This was my original Moto Pump that I bought 10 years ago, it served me very well until it sat for many months in a couple of inches of water in my rally box. I took it apart and may be able to resurrect it with a few new parts. 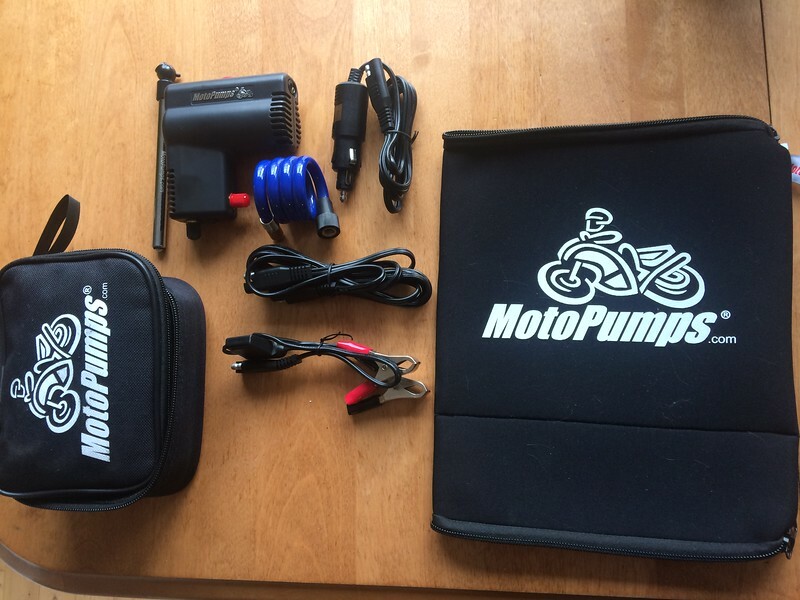 This is the newest edition of the Moto Pump Pro that I just bought after doing a fit test in my rally box with RTWPaul's pump when he was here. The owner is great to deal with. He threw in the neoprene bag for free but it's too big for what I need. I think it will become my iPad case. It goes in the left rally box you can see here, in the new format it remains to be seen if it will fit past the carbon tank guards where it comes below the petcock. The skidplate and rally boxes are wiating for me to finish putting in the new Time Serts where the mounting holes were stripped. My tool roll goes in the right hand rally box, I'll put that up later in the tool roll thread. I have the Moto Pump Pro too. It works much better than the CT stuff that I had. My original one worked great many times over! I look forward to great service from my new one as I know the founder is a good guy standing tall behind his products. I've got one in each vehicle and find I use them there way more than the one on the bike... thankfully! All the same Crappy Tire stuff but dependable enuf for occasional use. The crappy one in the car that I still use was dad's, he's been dead for 12 years so I'm guessing we got his money's worth out of that one!